by Prof. Edward Thomas Jr. The MDPX device is a large bore (50 cm diameter x 158 cm long), multi-configuration, 4-Tesla class, superconducting magnet and integrated plasma chamber that has been operating at Auburn University since April, 2014. While the MDPX device has been initially optimized for the study of dusty plasmas [four-component plasma systems consisting of electrons, ions, neutral atoms and charged, micron-sized particulates (i.e., the “dust”)] at high magnetic fields, it provides a flexible, multi-user research platform that can be used for a wide variety of studies. Among the investigations that have been performed include studies of imposed ordered structures in dusty plasmas at high magnetic fields, filamentary structures and pattern formation in the plasma (i.e., without dust), particle transport in dust waves at high magnetic field, and probe measurements in strongly magnetized plasmas. This presentation will provide a brief description of the technical capabilities of the MDPX device and will discuss results from recent studies. A brief discussion of how the MDPX device could be used as a platform for fusion-related studies may also be presented. This work is supported by funding from the U. S. Department of Energy and the National Science Foundation. Prof. Edward Thomas, Jr. was born and raised in the U. S. Virgin Islands. After high school, he moved to the U.S. mainland where he earned a Bachelor's degree in Physics from the Florida Institute of Technology (Florida Tech), a Master's degree in Physics from the Massachusetts Institute of Technology (MIT), and a Ph.D. in Physics from Auburn University. He began his faculty career as an Assistant Professor at Fisk University in Nashville, TN from 1996 to 1999. 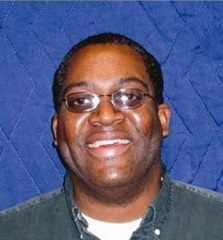 In January, 2000, he returned to Auburn University as an Assistant Professor of Physics and going on to earn the rank of Associate Professor in 2002 and Professor in 2007. Prof. Thomas' research is in the field of experimental plasma physics, with a particular focus on laboratory simulations of the near-Earth space environment and dusty (complex) plasmas. Within his research group, he has trained over a dozen graduate students and over thirty undergraduate student researchers and has graduated seven Ph.D. and five Masters students. Over the years, his research activities have been funded by the National Science Foundation (NSF), Department of Energy (DOE), NASA, and the Defense Threat Reduction Agency (DTRA). To date, Prof. Thomas and his research team have produced over 70 scientific papers and made over 200 contributed and invited presentations at scientific conferences. Most recently, Prof. Thomas and his group has established the Magnetized Dusty Plasma Experiment (MDPX) at Auburn University - a one-of-a-kind, multi-user, high magnetic field research facility that is intended to provide research opportunities for national and international plasma researchers. Beyond his research activities, Prof. Thomas is very active in service to Auburn University and the physics community. He has served on numerous national and international advisory committees for agencies such as the National Research Council (NRC), the European Space Agency (ESA), NSF, DOE, the American Physical Society (APS), the University Fusion Association (UFA), the Quality Education for Minorities (QEM) Network, and several university research centers. In 2015, he was named a Fellow of the American Physical Society.